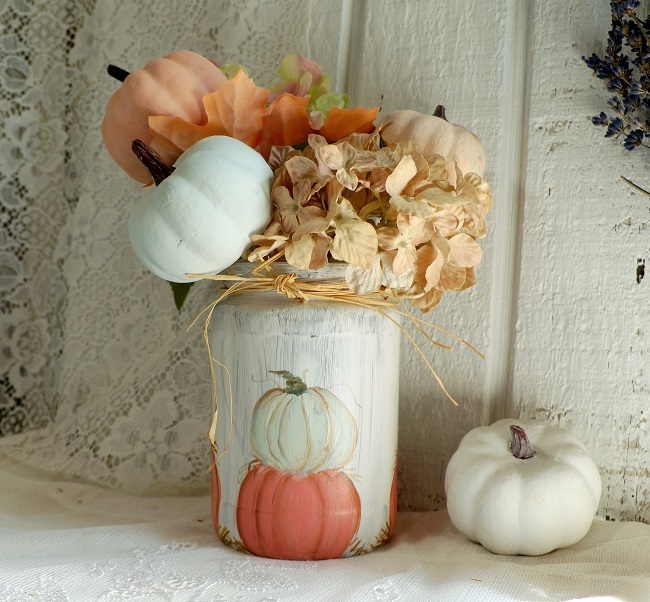 Happy fall. 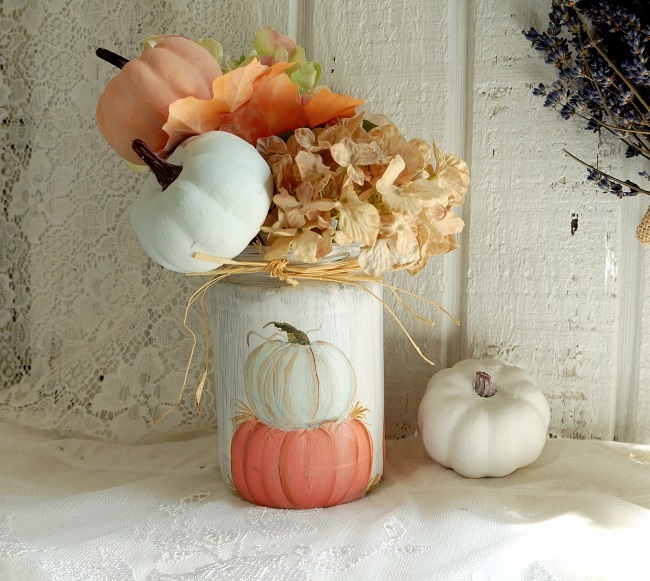 Here is an upcycled jar for fall. 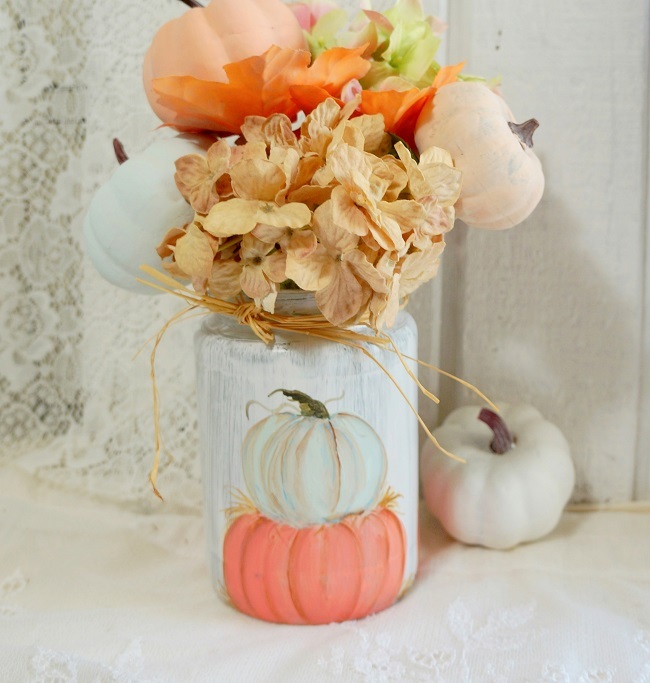 I painted it a shabby white added three orange pumpkins and three blue pumpkins then tied it off with a raffia ribbon. 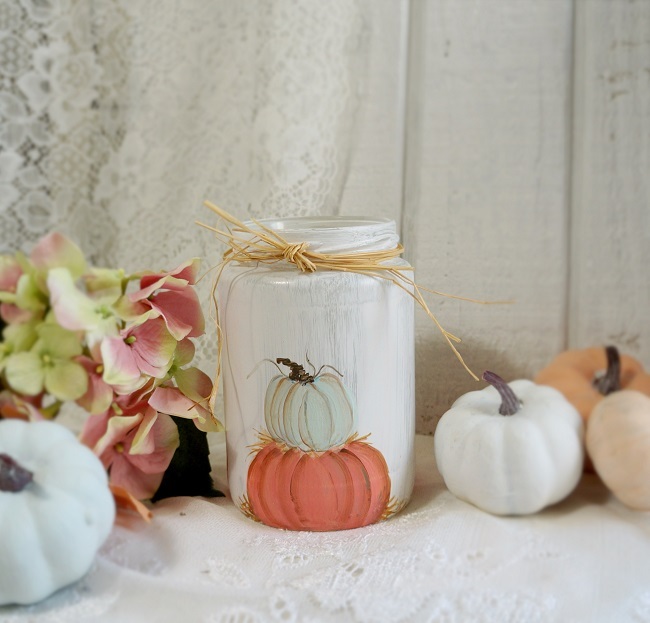 This will be so pretty with a floral arrangement, you could add a candle to use as a candle holder or just use it for a cute storage jar. 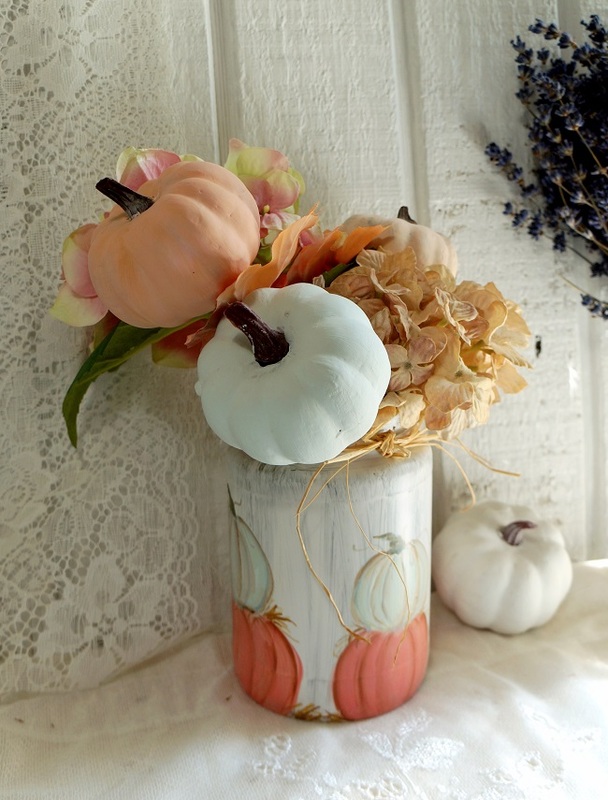 This would make a great addition to your farmhouse, country cottage, or a shabby chic, beach home decor. Hand painted one of a kind.